The New Zealand Superannuation Fund (NZS) has slimmed down to 36 external managers following its latest mandate cull. After dispatching four real estate investment firms (covering five mandates) last week, the NZS is well off its peak of 44 external managers recorded just four years ago. Including the most-recent exits, the NZS has cut 10 managers from its roster since July last year while appointing just two – Mint Asset Management for NZ equities and merger arbitrage specialist, Ramius – over the same period. In a statement, Fiona Mackenzie, NZS head of investments, said the recent mandate reduction matched the fund’s avowed strategy of maintaining “fewer, deeper relationships with our investment managers”. NZS has also moved a wider range of investment activities in-house, bumping up staff levels to well over 100 in the process. Last year an NZS spokesperson told Investment News NZ (IN NZ) the fund would hire an additional 10 investment staff over the coming year. “Building the capability of our in-house team is consistent with our desire to maximise net returns – ie returns after all costs,” the spokesperson said at the time. NZS is currently seeking a senior credit risk analyst as well as a portfolio manager for its nine-strong ‘portfolio completion’ unit. 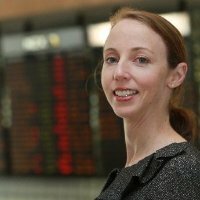 “The Portfolio Completion team is primarily responsible for the treasury and capital market aspects of the Fund, managing and executing the Fund’s passive market exposure, currency overlays, managing Fund liquidity and providing execution services for other internally-managed ‘value add’ activities such as the NZ Active Equities Mandate and Dynamic Asset Allocation Mandate,” the NZS portfolio manager job description says. According to an NZS spokesperson, proceeds from the recent private equity real estate sell-down would be added to fund’s passive investments in-line with reference portfolio guidelines. Global private equity firm Partners Group picked up the five NZS investments – held as the Orion European Real Estate Fund III, Mountgrange Real Estate Opportunity Fund, MoREOF (Parallel I) Unit Trust, Red Fort India Real Estate Fund II and Gateway Capital Real Estate Fund III – for an undisclosed sum. All of the recently-departed real estate managers were appointed to the NZS between 2009 and 2011. “While private equity real estate has been a profitable part of the Fund’s portfolio, these were relatively small investments,” Mackenzie said in the statement. However, the NZS retains a couple of real estate managers – the US-based Savanna Real Estate and Sveafastigheter, which specialises in Swedish and Finnish property – as well as a range of other private equity managers on its books. NZS manages about $29.6 billion, according to its latest published results.